It is known as one of the world’s most iconic paintings. But ‘Sunflowers’ by Vincent Van Gogh ( 1853-1890) is actually a series, painted by the post-impressionist genius in Arles, southern France. And now five different versions, scattered across the world, have been brought together in a virtual exhibition, reunited in one room for art lovers to compare and contrast. “We’re at a moment in time where new kinds of experience are becoming possible for art galleries and museums all around the world,” said Chris Michaels, Digital Director of The National Gallery in London, home to one of the masterpieces. “Those things are being changed by technology, particularly by things like social media, that allow events like this to happen that never could have happened before. In a Facebook Live broadcast on Monday, curators from each museum took turns to talk about their version of ‘Sunflowers’. 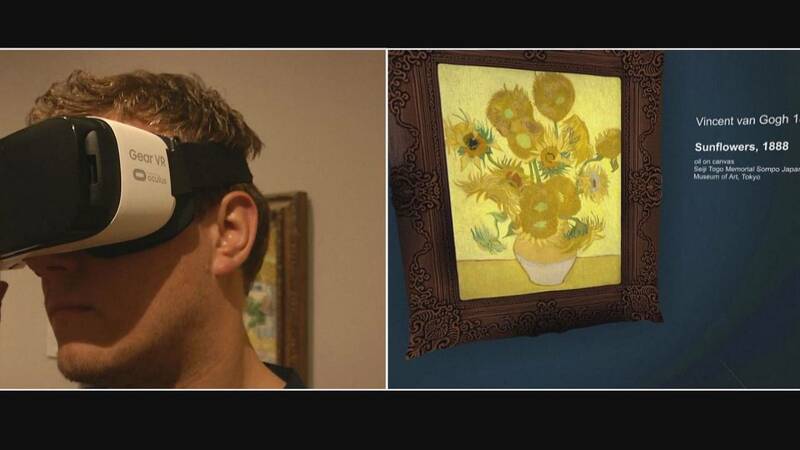 One can only wonder what Van Gogh himself would make of it all.